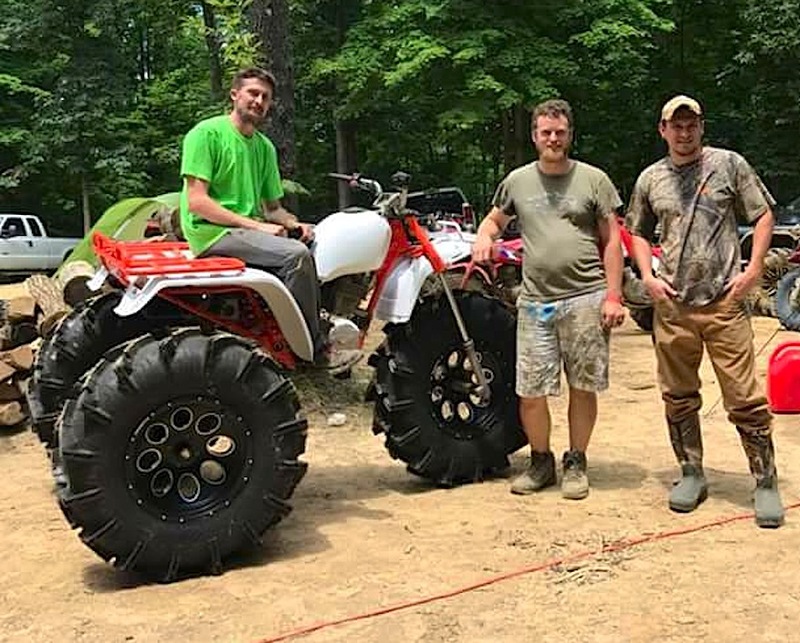 We’re all used to seeing high-lifted 4×4 quads out in the deepest mud holes. For some reason though, we rarely see 3-wheelers modified the same way. Greg Armbruster in Ohio set out to change that with his unique mud machine here. He saw no reason why his old Honda Big Red couldn’t become a swamp monster too. The first order of business was to make sure his 250cc 4-stroke 3-wheeler got plenty of traction while giving it more ground clearance. He accomplished that with these 36 inch ITP mud tires mounted on custom 17 inch wheels. A set of longer forks helped too, along with a custom swing arm. He had to lower the gearing too, which was harder to do since this Honda ATC 3-wheeler has a shaft drive to the rear. There never was a such thing as a three-wheel drive 3-wheeler, so Greg has to make do with just two-wheel drive in the rear. 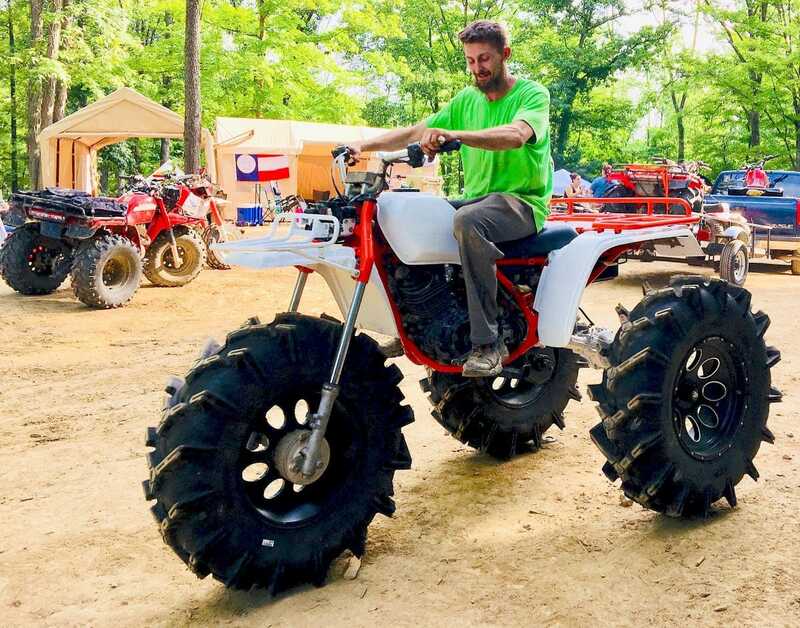 However, he says he has never become stuck in the mud on his machine, and it got a good test for that at the recent TrikeFest. He put it in every mud hole in the park, sometimes buried up to the racks, and he always made it across. 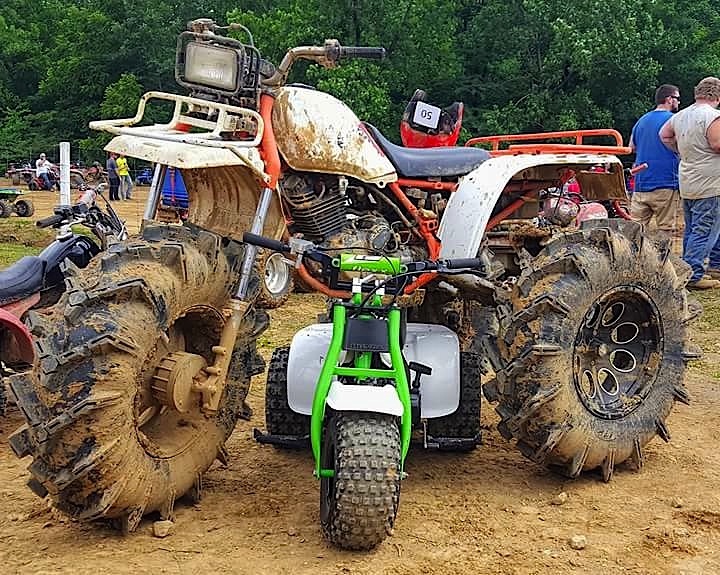 Do you have a uniquely different 3-wheeler, 4×4, sport quad or UTV? Well, we’d like to do a feature on it here and in the printed magazine. For that to happen all you need to do is send us some good photos and info on it. Make sure to include your name, city and state (or country).